‘Pilate girls’ Malaika Arora Khan and Sara Ali Khan are giving out major 'Fitness Inspo' in this video! Kareena Kapoor’s blue slit gown is insanely pricey, can you guess its cost? 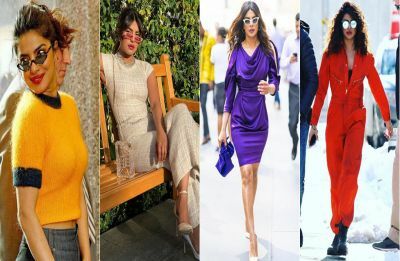 Priyanka Chopra inspired sunglasses to achieve hotter than hell looks in winter! Deepika Padukone celebrates her first birthday after marriage, drops her own website!